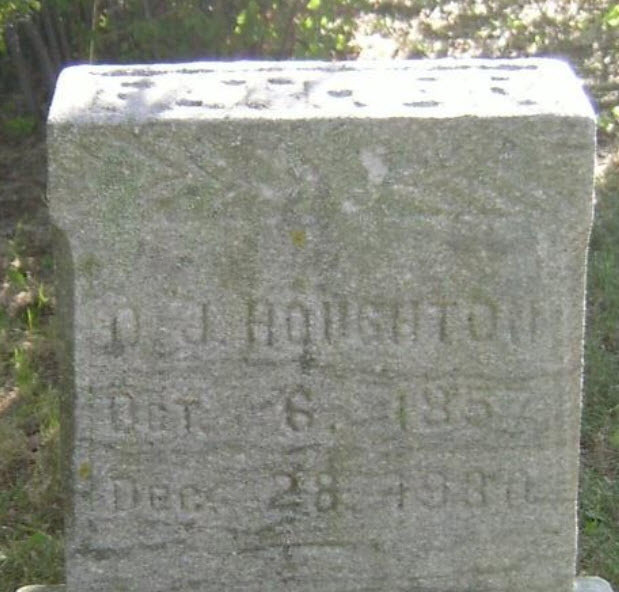 Joseph D. Cudworth married Jeanette M. Houghton, daughter of Rev. Willard J. Houghton and Harriet Wilson, in Dec 25, 1874. Milton B. Skift married Ella R. Houghton, daughter of Rev. Willard J. Houghton and Harriet Wilson, in Aug 19, 1879. John A. Forbes married Blanche M. Houghton, daughter of Rev. Willard J. Houghton and Harriet Wilson, in Sep 4, 1894. Adaline T. Houghton married William E. Hill in Jan 10, 1877. Cornelia Houghton married Frank M. Ellsworth in Feb 15, 1882. 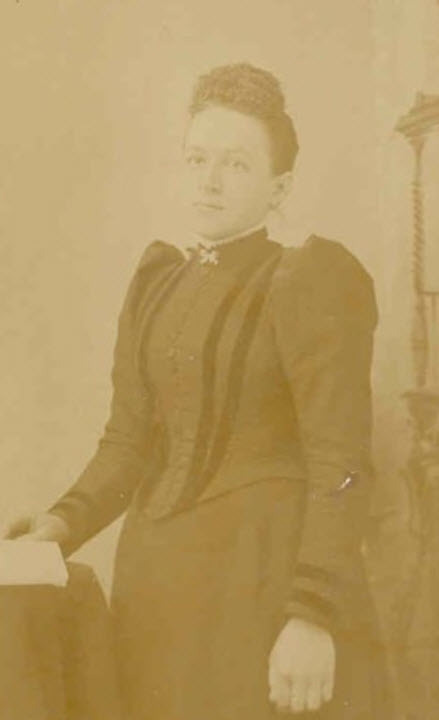 Ernest B. Houghton married Anna Louisa Dietrich in Oct 29, 1890 age 21 and 22. William E. Hill married Adaline T. Houghton, daughter of Stephen W. Houghton and Sarah A. Gillmore, in Jan 10, 1877. Frank M. Ellsworth married Cornelia Houghton, daughter of Stephen W. Houghton and Sarah A. Gillmore, in Feb 15, 1882. Anna Louisa Dietrich married Ernest B. Houghton, son of Stephen W. Houghton and Sarah A. Gillmore, in Oct 29, 1890 age 21 and 22. Merrill Dietrich Houghton married Edith Hattie Pike in circa 1917 age 23 and 25. Merrill Dietrich Houghton married Maude Eleanor Cole. Olon James Houghton married Grace Estella Jencks in Mar 31, 1882. Olon James Houghton married Elizabeth Brown in Mar 7, 1906 at Douglass, Montcalm Co., MI, USA, ages 24 and 18 at 1st marriages; 2nd mar for both; mar 5 y in 1910 census; Hx of Montcalm co.: 7 Mar 1905. 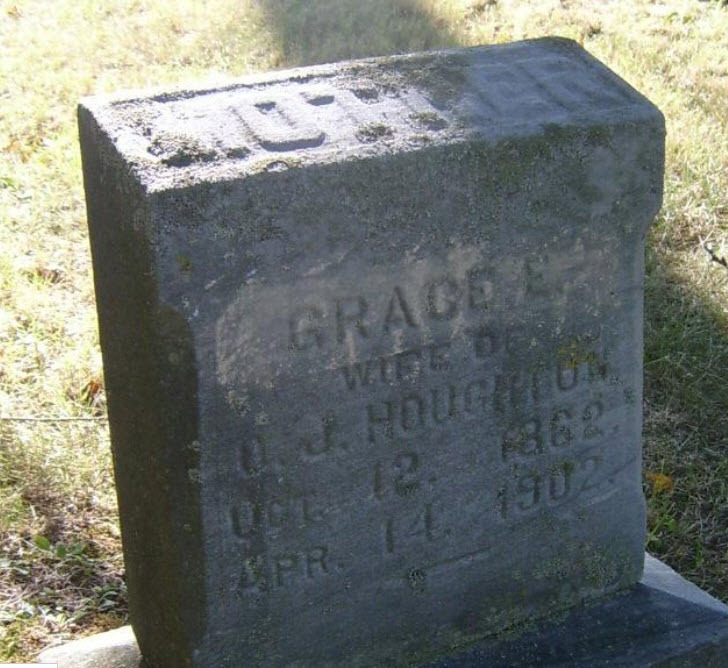 Grace Estella Jencks married Olon James Houghton, son of James W. Houghton and Maria Olive Clark, in Mar 31, 1882. Elizabeth Brown married Rufus R. Cook in 1869 age 18. Elizabeth Brown married Olon James Houghton, son of James W. Houghton and Maria Olive Clark, in Mar 7, 1906 at Douglass, Montcalm Co., MI, USA, ages 24 and 18 at 1st marriages; 2nd mar for both; mar 5 y in 1910 census; Hx of Montcalm co.: 7 Mar 1905. Franklin Earle Houghton married Nancy Young in Oct 7, 1874 mar 35 y in 1910 census. Rollin L. Houghton married Ella Sawyer Sanger in Sep 11, 1895. Lillie J. Houghton married Chester B. Cronk in Dec 25, 1874 his second wife. Allen Dan Houghton married Minerva H. Howden in Dec 2, 1881. Nancy Young married Franklin Earle Houghton, son of Allen H. Houghton and Clarissa Blanchard, in Oct 7, 1874 mar 35 y in 1910 census. Ella Sawyer Sanger married Rollin L. Houghton, son of Allen H. Houghton and Clarissa Blanchard, in Sep 11, 1895. Ella Sawyer Sanger married John A. Speers in circa 1905 mar 5 y in 1910 census; 2nd for both. Chester B. Cronk married Lillie J. Houghton, daughter of Allen H. Houghton and Clarissa Blanchard, in Dec 25, 1874 his second wife.